Speaker, Protecting the Business and Your Intellectual Property, hosted by the Illinois Technology Development Alliance as part of their Fast Trac Entrepreneur Series (April, 2009). Speaker, Expanding Your Practice: A Primer on Federal Practice, hosted by the Chicago Bar Association’s Sub-committee on Municipal Law (December, 2008). Moderator, Legal Strategies for the Emerging Entrepreneur, hosted by the Illinois Technology Development Alliance and Querrey & Harrow (May, 2008). Speaker, Police Law Update, hosted by Illinois Municipal League Risk Management Association, 2014 Annual Conference (August, 2014). Speaker, Employment Decision Pitfalls, hosted by Illinois Municipal League Risk Management Association, 2015 Annual Conference (August, 2015). Speaker, Online Travel Companies & Municipalities, hosted by Illinois Municipal League Risk Management Association (February, 2016). 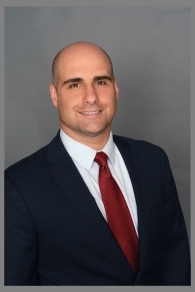 Dominick Lanzito concentrates his practice in federal litigation, employment litigation, class action litigation, Insurance Regulatory law, civil rights, and acts as general counsel for municipalities. Prior to joining Peterson, Johnson & Murray Chicago LLC, Mr. Lanzito was a partner at mid-sized litigation firm. Mr. Lanzito also served as an Assistant State’s Attorney for the Cook County State’s Attorney’s Office, gaining experience in torts and civil rights litigation, as well as in criminal prosecution and criminal appeals. During his service as an Assistant State’s Attorney, Mr. Lanzito conducted approximately 150 bench trials on behalf of the state. He also has tried several matters to jury verdict, both in state and federal courts. His litigation experience includes complex state and federal litigation, as well as dispositive motions and appeals. Notably, Mr. Lanzito has successfully defeated class action and injunctive claims in several matters. He is a member of the Trial Bar for the Northern District of Illinois and the Seventh Circuit Court of Appeals. Apart from litigation, Mr. Lanzito acts counsels multiple municipalities with their various legal needs. He also counsels businesses emerging corporations in all aspects of their business, from entity formation, IP protections, IP licensing, contract negotiations, and private placements. While attending the John Marshall Law School, Mr. Lanzito served as Staff Editor and Executive Board Member for the Journal of Computer and Information Law. Davy Cady v. Michael Sheahan, et. al. 04-3518- Successfully argued before the 7th Circuit in defense of Sheriff Michael Sheahan and several members of the Cook County Sheriff’s Police Department. Appellant alleged that the manner in which the police officers performed an investigatory stop of him in front of a courthouse amounted to an unreasonable search in violation of his 4th amendment rights. DeShazo v. Baneski, et al., 14 C 5139 – Obtained summary judgment on behalf of all of the defendants in a civil rights action brought by the estate of an arrestee who hanged himself in a holding cell. Weiler v. Village of Oak Lawn, et al., 14 C 4991 – Obtained summary judgment in favor of defendants in an employment action, in which Plaintiff alleged that he was terminated from the Village in retaliation for his political association and Whistleblower statements. Norris v. Hometown, et al., 15 C 4692 – Obtained summary judgment in favor of defendant in a case where Plaintiff alleging wrongful termination, denial of due process and a violation of his occupational liberty rights, after he was terminated after an on-duty shooting. Dyson v. Officer Valente, 12 C 7632 – Obtained a jury verdict in favor of the defendant officer. Plaintiff was alleging that the officer selectively enforced the law against him and arrested him without probable cause. Egonmwan v. Cook County Sheriff’s Department et. al., 06 C 4764 and Swearnigen v. Cook County Sheriff’s Department, et. al., 05 C 1493 – Obtained summary judgment in two cases alleging malicious prosecution, racial and sexual harassment and violation of two Cook County Jail correctional officers’ First Amendment rights by the Cook County Sheriff and various Jail administrators. Briggs v. Hargrett, et. al.02 C 4917- Obtained a not guilty verdict following a jury trial in favor of three correctional officers that were alleged to have used excessive force against the plaintiff. Thompson v. County of Cook, et. al., 03 C 7172- Defended the County of Cook and the Cook County Sheriff against allegations that the STD testing and strip search policies were unconstitutional. Obtained a jury verdict in favor of the County of Cook and the Cook County Sheriff as to all counts. Bartkowiak v. City of Aurora, 12 L 119 – Obtained a jury verdict in favor of the City of Aurora. Plaintiff tripped and fell in a parking lot owned by the City and suffered serious injuries requiring multiple surgeries.